It’s finally coming - have you noticed? The gentle breezes, the relaxed temperatures. Fall is on the horizon, and I’m so ready for it. This season is all about layers, something I know very well. It may be silly, but I’ve always said you can add more layers in the cold, but you can only take off so many layers in the heat. So I’m all about adding the layers - the more the merrier! 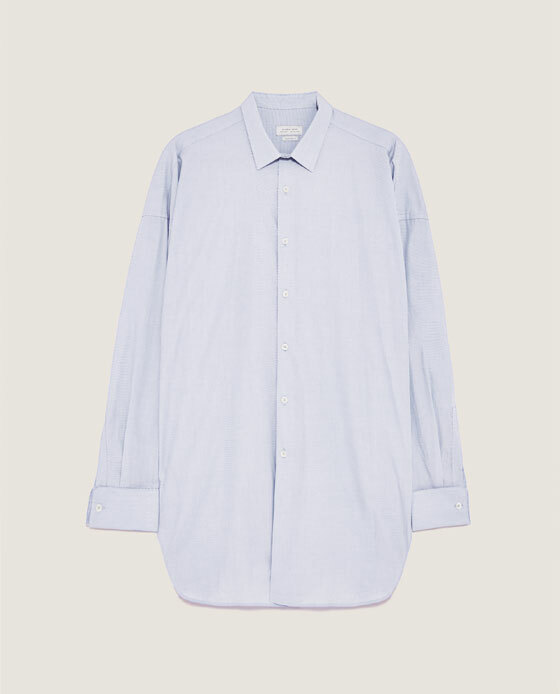 A trend I’ve seen all over this season, in womenswear and menswear, is super oversized poplin shirts, especially with extended sleeves. I saw this shirt at Zara and instantly knew I had to have it. Since it’s been warm still in New York I styled this pretty simply, over a simple tee and cropped black pants (my go to). Originally the shirt is shown with a French cuff, but I unrolled it to give it that extreme length that I was going for. I can’t wait to put this shirt under a tailored coat when the temperatures dip. With the sleeve peeking out and worn over a turtleneck - I think I just found my go-to Fall outfit. How do you feel about this relaxed trend? Let me know in the comments!